This Morgan Silver Dollar Coin Necklace in Gift Box features a genuine, vintage Morgan Silver Dollar from the U.S. Mint, secured in a sterling silver screw-top coin bezel hanging from an 18" sterling silver rope chain. 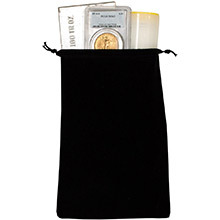 This classic coin necklace will make a great gift for a fellow coin or silver enthusiast, or for yourself. Each of these Morgan Silver Dollars are in Almost Uncirculated (AU) condition and contain approximately 0.77345 troy ounces of pure silver. Dates are random and will range from 1878-1904. 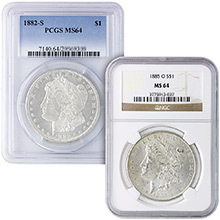 Possible mints are O, P & S.
The Morgan dollar is a United States dollar coin that was minted from 1878 to 1904, and then again in 1921. 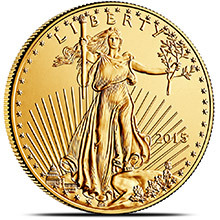 The coin is named for its designer, United States Mint Assistant Engraver George T. Morgan. 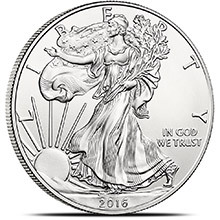 The obverse depicts a profile portrait representing Liberty, while the reverse depicts an eagle with wings outstretched. In 1878 US Congress passed the Bland-Allison Act, requiring that the Treasury purchase between two and four million dollars worth of silver per month, to be coined into silver dollars. 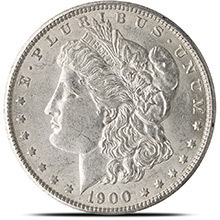 When those silver reserves were depleted in 1904, the Mint ceased to strike the Morgan dollar, but then the Pittman Act of 1918 authorized the melting and recoining of millions of silver dollars, thus Morgan dollars resumed mintage for one more year in 1921. From 1878-1904, Morgan dollars were minted in Carson City, Nevada (CC mint mark), New Orleans (O), Philadelphia (no mintmark), and San Francisco (S). Morgan dollars were minted containing 0.77345 troy ounces of silver, each comprised of 90% silver and 10% copper.